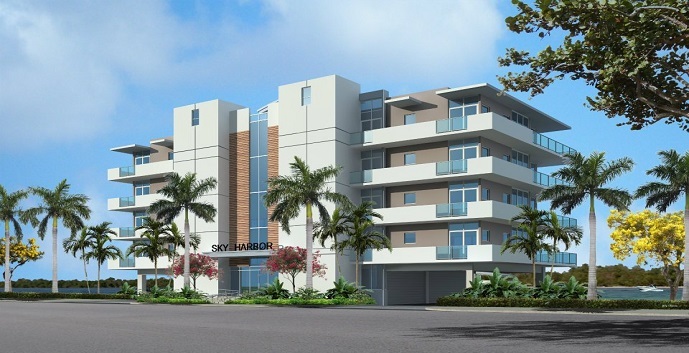 Sky Harbor Condominiums on the Intracoastal Waterway is a planned condominium located on North Ocean Drive in Hollywood, close to the Hollywood Beach and Boardwalk, Hollywood North Beach Park, the Oceanwalk Mall, restaurants, nightlife, entertainment, and highways. 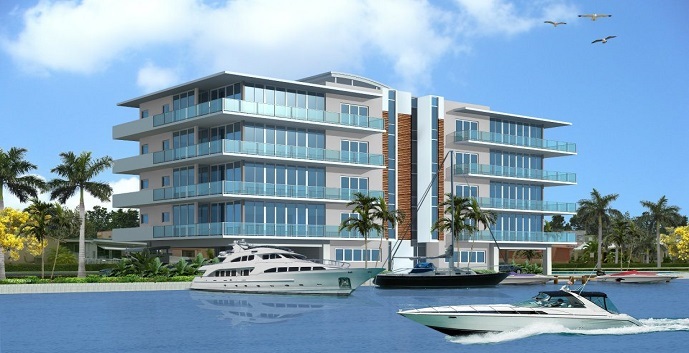 Sky Harbor amenities will include a sparkling swimming pool, fob key controlled elevators, garage parking, storage areas, and boat slips with 30’ finger docks for vessels up to 70’ in length. 3 bedrooms, 3.5 baths, 2036 living square feet. 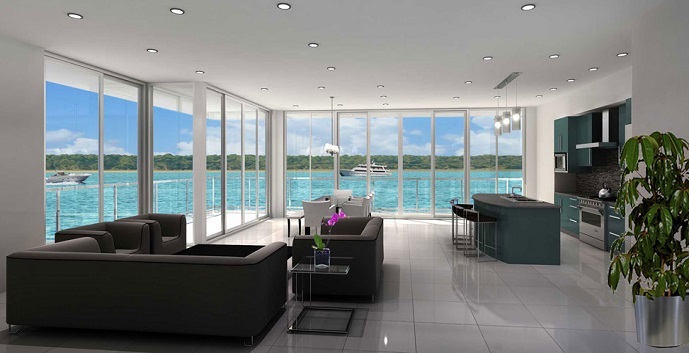 Top features include a gourmet kitchen with European-style cabinetry, granite countertops, and stainless steel appliances, a dining room, living room, luxurious bathrooms with soaking tubs, travertine tile flooring, a 485 square foot wrap-around balcony, and a private elevator vestibule.